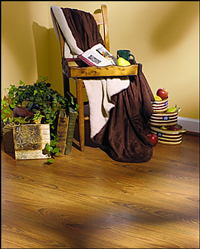 Harper's Mill is the newest introduction in the Mohawk Laminate Flooring products. This collection offers superior durability and has the CrystalShield™ aluminum-oxide finish and Water Guard 6TM. Mohawk DuraLoc® Plus is precision milled and pre-glued at the factory to ensure a tight fitting, water-resistant installation.